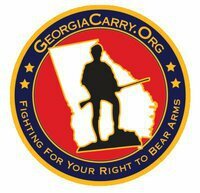 GeorgiaCarry.org, the premier voice for the Second Amendment in Georgia, will be holding a membership drive again this weekend, and giving new members or those renewing a chance to shoot for free. Tomorrow, Friday June 24, they will be at Patrick’s Gun Range in Garden City, Georgia, from 9:00 AM to 5:00 PM. This is your chance if you live near Savannah. Saturday, June 25, they will be at Eagle Gun Range in Macon from 10:00 AM to 5:00 PM. Membership is just $15 per year. Come out and join or renew, and enjoy some free range time. Also, the GeorgiaCarry Annual Convention is coming up, August 5 and 6, at the Waverly Hotel in Cobb County, near the Galleria, and I plan to attend. Look for more information later.